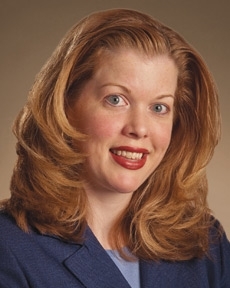 Megan Burke, CFP®, is a vice president and senior wealth advisor for Tompkins Wealth Advisors. Megan has worked in the financial services industry since 1999, joining Tompkins in 2002. She has built and managed client relationships focusing on wealth management, financial planning, risk solutions and tax planning. Megan is able to utilize innovative techniques and creative strategies to address her clients’ objectives because of Tompkins’ collaborative approach and team of certified professionals. These strategies allow Megan to work toward mitigating risk, capture opportunities and reinforce strengths for her clients. This holistic approach seeks to simplify the clients’ financial lives and provides them financial confidence. After graduating college, Megan worked in New York City until moving back to Rochester in 1999. She is actively involved in her church and enjoys reading and spending time with family and friends.